Our range of products include hgm6310d genset controller, hgm6320d genset controller, hgm6310g genset controller, hgm6320g genset controller and hgm6320t genset controller. 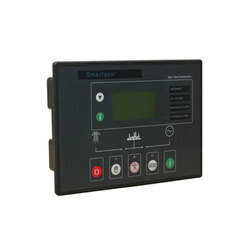 HGM6300D Series generator controller integrating digital, intelligent and network techniques is used for automatic control system of diesel generator. 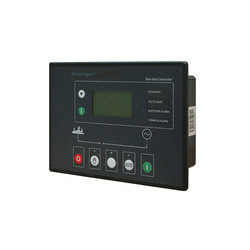 It can carry out functions including automatic start/stop, data measure and alarming. The controller uses LCD display, optional Chinese and English display interface with operation easy and reliable. HGM6300D Series generator controller uses micro-processing technique which can carry out precision measure, constant value adjustment, timing and threshold setting and etc. of multi-parameters. It can be widely used in all types of generator automatic control system for compact structure, advanced circuits, simple connections and high reliability. Precision measure and display of mains voltage mains frequency (Hz) mains active power (kW) mains apparent power (kVA) mains power factor generator voltage generator current generator frequency (Hz) generator active power (kW) generator apparent power (kVA) generator power factor generator hours count generator cumulate electric energy (kWh) generator temperature generator pressure generator fuel level start battery voltage. Parameters setting Allow user to modify setting and store them inside internal FLASH memory, the parameters cannot be lost even with power down.